Until now, Posts on Google only allowed a small number of celebrities, sports teams, sports leagues, movie studios and museums to post social network-style updates about their activities right to Google’s search result pages. Using this, these organizations and individuals could post images, videos, GIFs and text and use that to drive traffic to their sites. 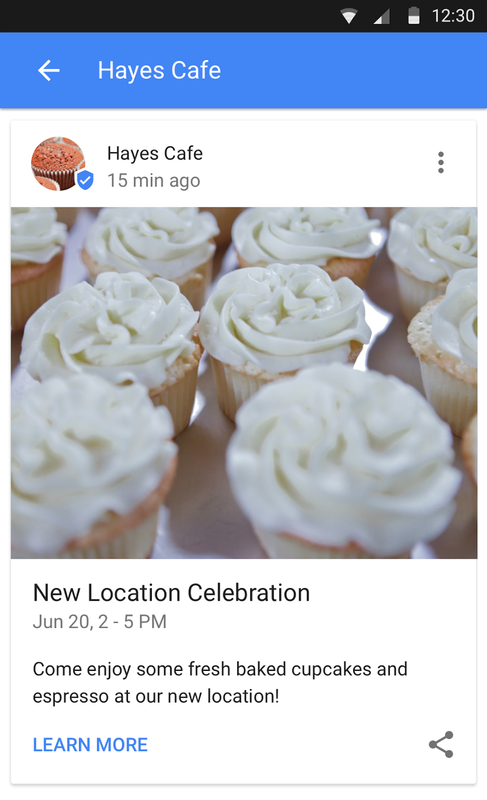 Google says local businesses can use this new feature to, for example, share daily specials and current promotions, to promote events and showcase new products. What’s maybe even more important for these businesses, though, is that they can link these posts to their own sites and use Posts on Google to drive sign-ups for their newsletters or get potential customers to specific product pages. Businesses can create these posts on the web and in the Google My Business Android and iOS apps. Google first experimented with this feature during the last U.S. election. Since then, it gradually opened the service up to more users. The most recent launch was in Brazil, where musicians can now post updates, too. 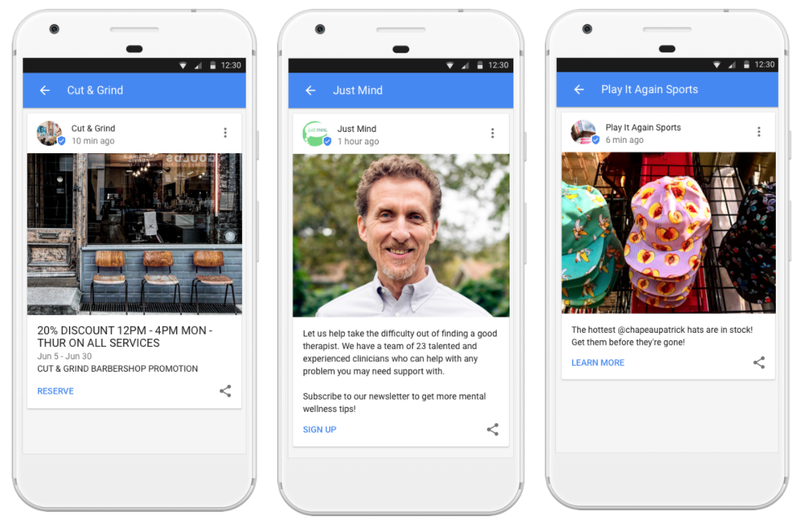 While this feature may feel like a nascent rebirth of Google’s social networking efforts, the plan here is clearly not to bring back Google+ but to allow businesses to publish more timely information for their customers.